Offering stunning living space and beautifully presented throughout, this villa offers spacious accommodation combined with stylish contemporary décor and a highly sought-after location. Please contact our consultant for availability. 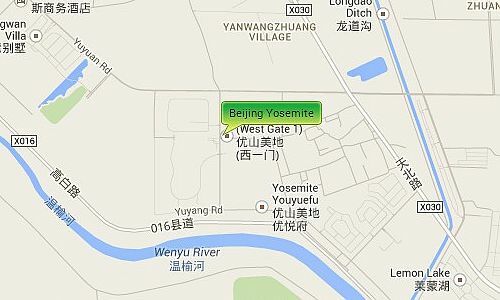 Yosemite is situated along the banks of the Wenyu River by the Jingshun road, and the Yanglin exit of the Airport Expressway giving it easy access to both the International Airport and downtown Beijing. It is near to both the Beijing American School and the International School of Beijing (ISB) and close to the pinnacle plaza and Euro Village where residents can find a large range of shops, supermarkets and restaurants.